The order is more or less alphabetic. NOTE: Cubase/Samplitude/Sequoia users might need to download the installer to disable the bug report system which sometimes hangs or crashes. 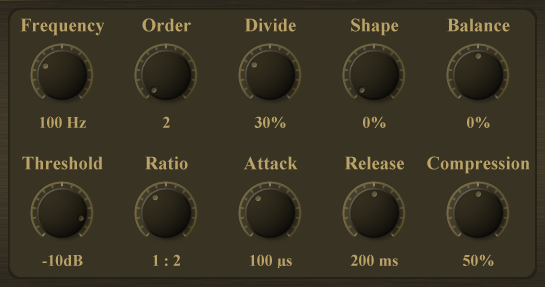 With “2-Band Distortion”, the low and high frequencies can be distorted separately. A Linkwitz-Riley filter is used for frequency splitting. 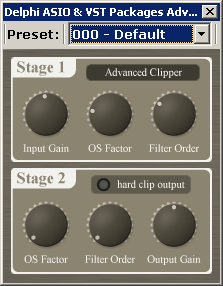 The advanced clipper plugin features two stages with different oversampling and a final hard clip stage. 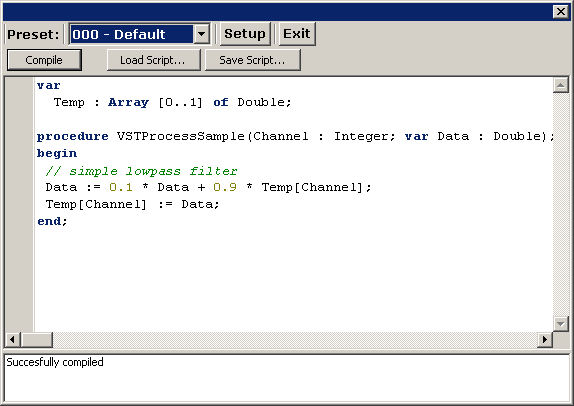 A simple amplifier simulation roughly based on the mda plugin ‘mdaCombo’. Although this tool is not entirely complete, I decided to add this to the list of plugins as well. It features several audio processors to enhance the audio signal. However, right now I’m not convinced of the sound, so it’s more some kind of audio aggravation, but please decide yourself if you like! 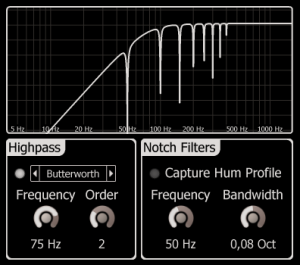 Experimental subbass extender plugin (based on a frequency divider and a low band compressor). A waveshaper based on the chebyshev polynom. It is also used in my “Christortion” plugin. 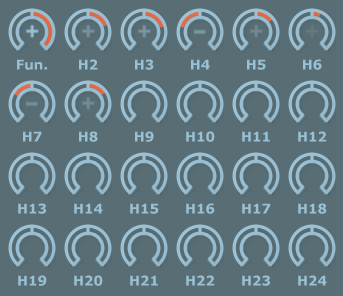 This plugin is simple implementation of a dither (with different distributions) and some commonly used noiseshapers. 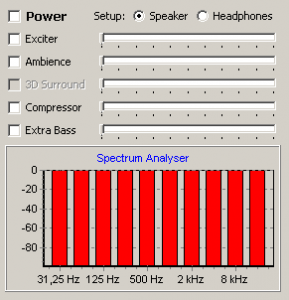 So far the noiseshapers have only been calculated for a samplerate of 44.1 kHz, but I thought to share the plugin anyway. 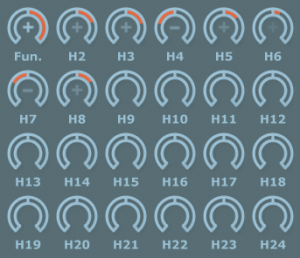 A simple exciter plugin based on the chebyshev waveshaper and a modified Linkwitz-Riley splitter. Simple Phase Rotator implementation. This can be used to slightly delay certain frequencies. The result is a reduced peak level caused by smearing the transients. Based on the famous SoundTouch library, this plugin allows you to pitch shift any audio material without wasting too much CPU cycles. Based on the famous SoundTouch library, this plugin allows you to detune, delay and mix two channels independently. Either Left/Right and Mid/Side processing is possible. This plugin is primarily meant for removing humming effectively leaving the audio information as intact as possible. Currently this plugin is not entirely finished as it is missing an automatic bandwidth detection and possible continous tracking instead of training by a hum profile. However, I’d like to add it here already to be previewed. 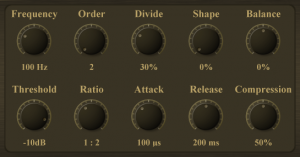 This plugin is a striped version of the ‘Noise Reduction’ plugin. 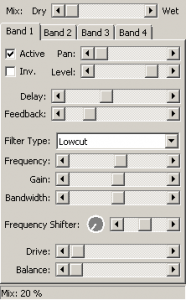 Instead of a noise profile it uses a fixed threshold across all frequencies. It might not deliver results as good as the above plugin, but might be nice for other applications anyway. 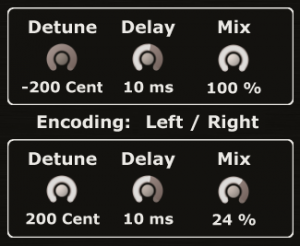 The ‘Party Delay’ is a nice little delay effect combined with a filter and a frequency shifter. 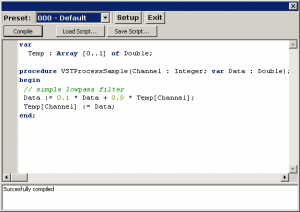 With this plugin you can write simple DSP functions in pascal script. They will be interpreted in realtime (might be quite CPU hungry though). A Tetris clone compiled as VST.